Burdensome symptoms frequently develop as part of the dementia trajectory and influence quality of life. 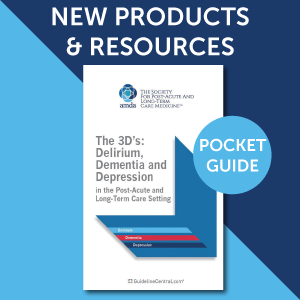 We explore the course of symptoms and their treatment during nursing home stay to help target adequate symptom management. Assisted living (AL) is an increasingly used residential option for older adults with dementia; however, lower staffing rates and service availability raise concerns that such residents may be at increased risk for adverse outcomes. Our objectives were to determine the incidence of hospitalization over 1 year for dementia residents of designated AL (DAL) facilities, compared with long-term care (LTC) facilities, and identify resident- and facility-level predictors of hospitalization among DAL residents. Older people who have been recently discharged from hospital are at increased risk of falls and deterioration in physical functioning. To examine costs and effects of care based on comprehensive geriatric assessment (CGA) provided by an ambulatory geriatric care unit (AGU) in addition to usual care. Many nursing home residents have cognitive impairment that affects their decision making. In order to identify potential markers of impaired decision making, we investigated the association between a range of nursing home resident characteristics and impaired decision making in a population-based sample. Increasing demands in long-term care for older people and a decrease in workforce availability can be expected in the future. These developments challenge the sustainability and quality of long-term care for older people. To address these challenges, long-term care organizations are forced to innovate. The aim of this study is to provide an overview of potential labor-saving and quality-improving innovations long-term care organizations are working on and to assess the self-reported extent of effectiveness. To examine the completeness of the activities of daily living (ADL) items on admission and discharge assessments and the improvement in ADL performance among short-stay residents in the newly adopted Minimum Data Set (MDS) 3.0.